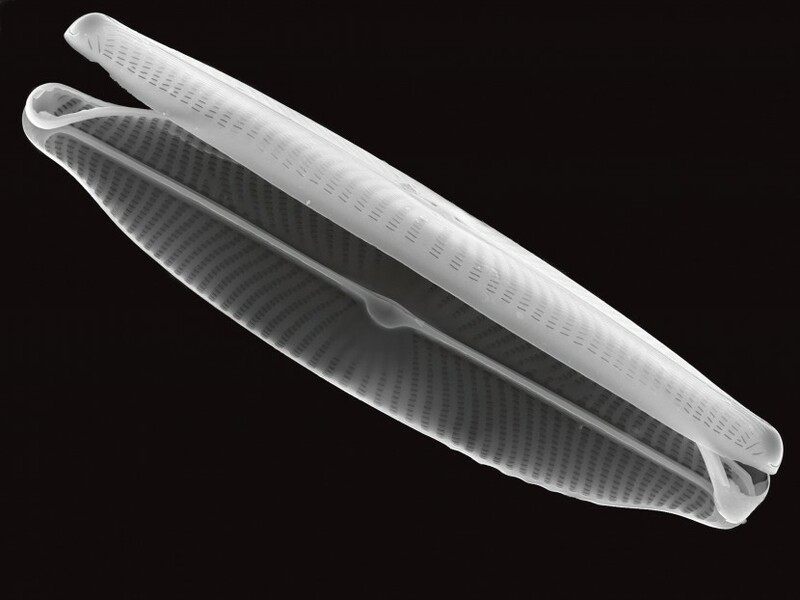 The Academy of Natural Sciences of Drexel University has the second-largest collection of diatoms in the world with more than 220,000 slides — each containing hundreds, if not thousands, of diatoms — dating as far back as the 1850s. In the 1950s, the collection was named the Diatom Herbarium by the Academy’s late environmental scientist Ruth Patrick. Patrick was a world authority on freshwater ecosystems who developed methods to monitor water pollution and its effects on aquatic organisms. 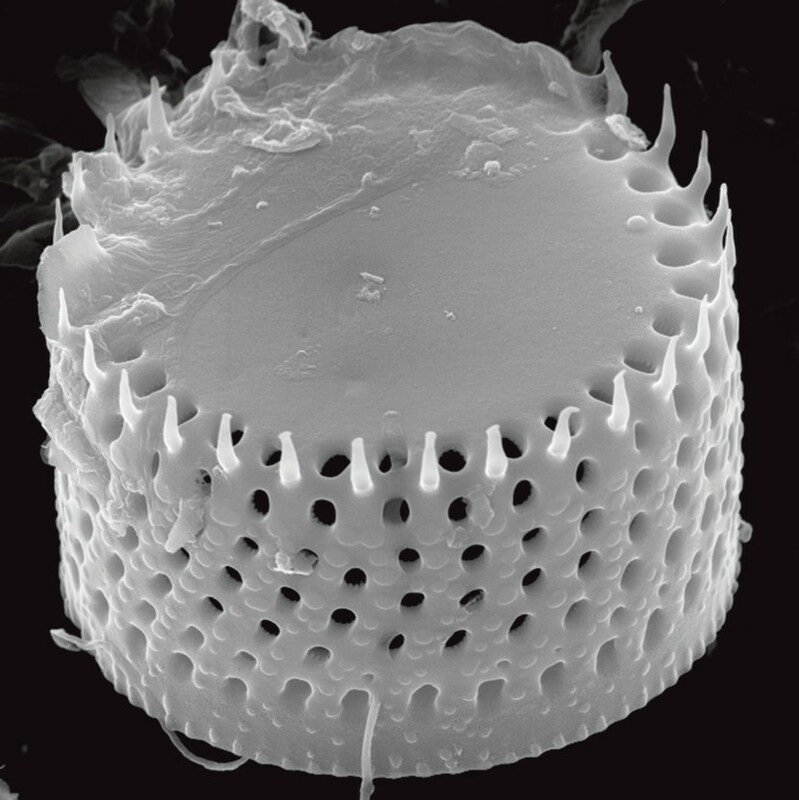 She identified diatoms as key indicators of environmental quality — certain species flourish in certain environmental conditions, so the abundance or lack of a particular species speaks to the health of a waterway. 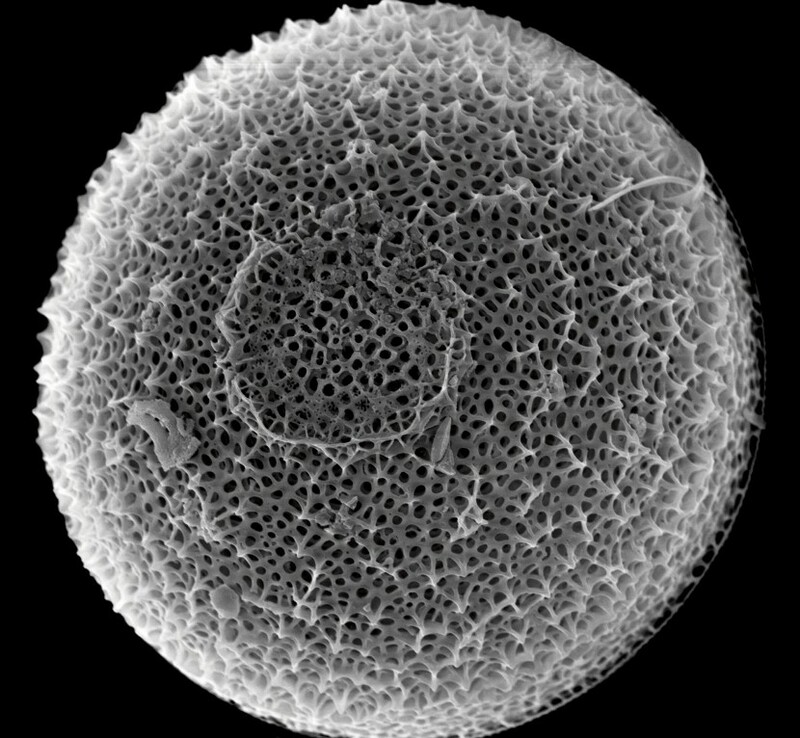 Today, the Diatom Herbarium is under the care of a group of scientists led by Assistant Curator Marina Potapova, who refers to the tiny organisms as “environmental archives” because the silica skeletons they leave behind inform scientists about the past. 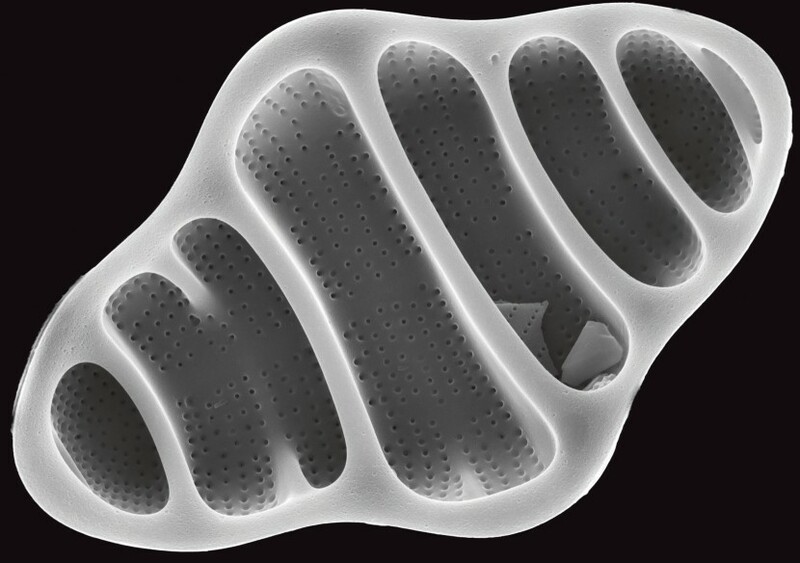 Potapova is in the middle of a multi-year project with more than 50 other international collaborators to build a comprehensive database of diatom flora of the United States, for use in applied research. She is adding species from the existing Diatom Herbarium, as well as those collected in the field, and “bumping into new species all the time” along the way, she says. Collected from Bass Creek in Montana (coordinates 46.574N, 114.146W) on July 9, 2004. This species prefers clean, oligotrophic lakes. Collected from the North Fork of Massie Creek (coordinates 39.757N, 83.790W) near Cedarville, Ohio, on Aug. 10, 2004. This organism lives mostly in soft sediments in rivers in temperate zones. Collected from an unnamed lake in the Sakha (Yakutia) Republic of Russia (coordinates 63.066 N, 138.813 E) on July 20, 2003. This species is found primarily in cold, pristine, alpine lakes. Collected from the mouth of Gavanskaya River on Kamchatka, Bering Island, in Russia (coordinates 55.296N, 166.008E) on July 8, 2008. This is a marine species that forms chains attached to rocks and seaweeds.